GenderDreaming.com is the home of the High-Everything(HE) and Low-Everything(LE) Diets. Diet isn’t the only factor that may influence your baby’s gender but it is one of the most researched factors when it comes to determining gender. We encourage you to read about our approach to swaying and learn about all the changes you can make to attempt to influence your baby’s gender and since diet is very crucial to your sway, we have developed 21-day meal plans which include 21 days of breakfast, lunch and dinner when TTC a girl or boy. That’s what everyone wants to know! Atomic has created 21-day meal plans with complete calorie, protein, fat, etc. nutritional data for each meal and we have packaged it up for purchase. 3 weeks of meals that may be mixed and matched for your convenience! The meals include cooking instructions so it’s more like a cookbook for those that need some help in the kitchen and like specific instructions to pull your meals together. Each Meal Plan is around 75-80 pages in length so there is a lot of great info and support in them. They are great supplements to anyone’s swaying plan and she has done all of the work for you! To purchase the plans, you go to the Membership and Plans button above and you will find them listed there. Once you subscribe, the forum will no longer say “Private” and the thread containing the .PDF file will appear and you may download it to your computer. As a novice to swaying, I know the meal creation is a critical component to anyone’s sway and these guides truly take all of the guess work out. I can follow this! They do NOT take the place of the Personalized Plans. Diet is just ONE component to any good sway and the ability to ask questions and receive a quick answer is still tied to the Personalized Plan service. This is simply a supplement for those that have created their own plans or thaose that have Custom Plans that want specific details for 3 weeks of custom designed meals! 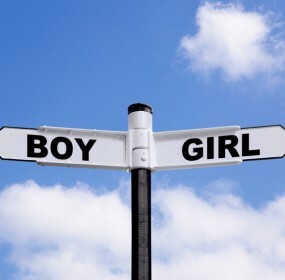 « Trying for a Girl or Boy? Let us help!